The government has proposed implementing a pilot scheme for electronic vote counting across three functional constituency sectors during next year’s Legislative Council election. The proposal was made after vote counting took much longer than expected following recent elections. Functional constituencies consist of professional or special interest groups, such as commerce, industrial, accountancy or education. Thirty of the 70 seats in the legislature are elected by Hong Kong’s 28 functional constituencies, with another five from the District Council (Second) functional constituency. 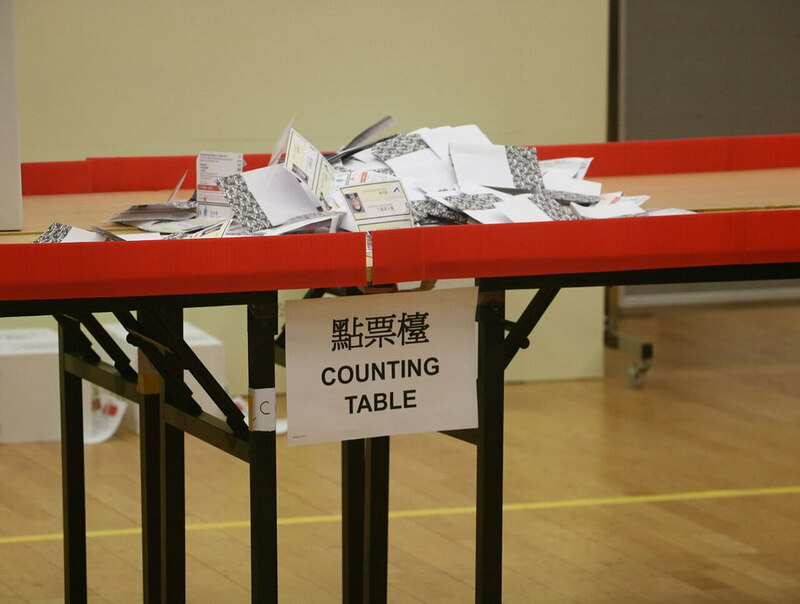 The Constitutional and Mainland Affairs Bureau said in a document submitted to the legislature that the proposal to trial electronic counting would be a test ahead of possible implementation across the District Council (Second) functional constituency. The constituency is made up of so-called “super district council” seats. 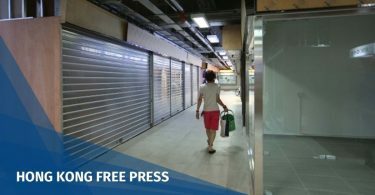 The five seats are voted for by Hong Kong’s three million-odd eligible voters, meaning candidates can receive hundreds of thousands of votes. “In the event that some people cast doubts on the accuracy of the counting machines and request for re-count, the overall counting time would be significantly lengthened, which would in turn delay the completion time of the entire general election,” the Bureau said. “More importantly, members of the public may lose confidence in electronic counting. 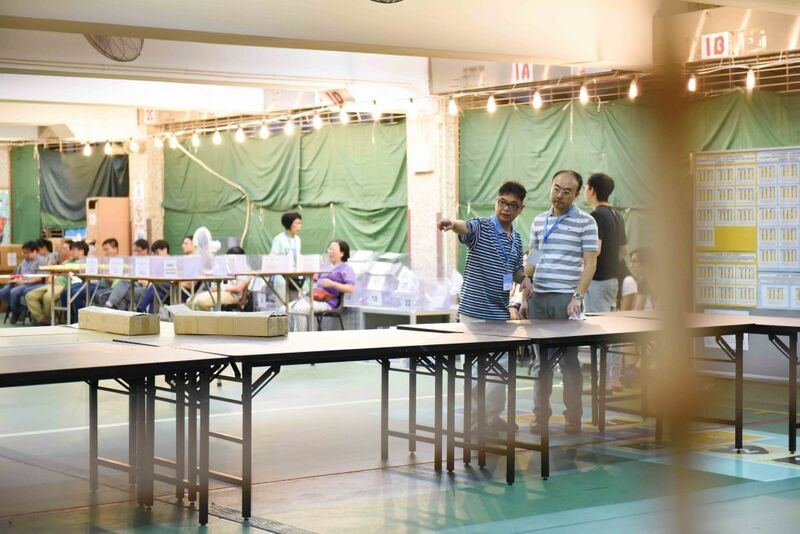 Hence, we have reservation in adopting this type of counting machines for counting over two million votes of the [District Council (Second) functional constituency] in the 2020 LegCo General Election,” it added. The Bureau said an electronic vote counting machine can handle between 10,000 and 20,000 votes. The Bureau will therefore choose functional constituencies with voter turnout close to the range. 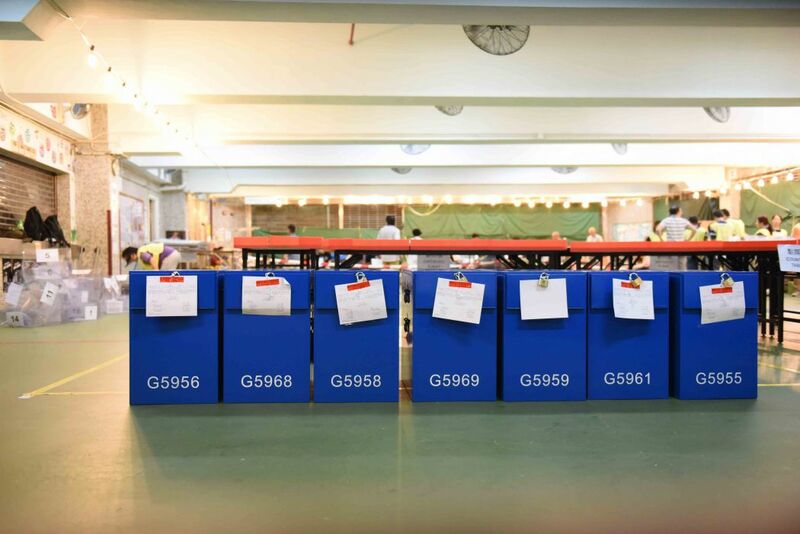 It said one of the counting machines achieved a recognition accuracy of 99.99 per cent for traditional functional constituency ballot papers, and the rate of paper jamming was significantly lower when compared to the handling of District Council (Second) functional constituency ballots. 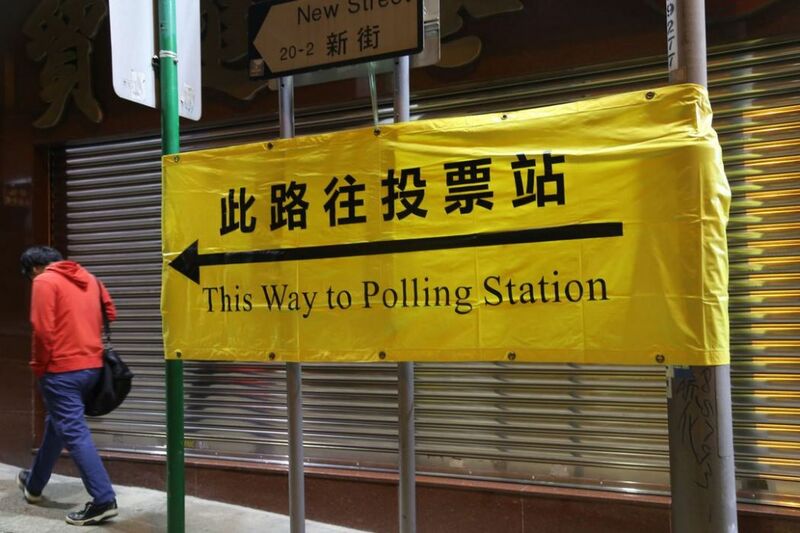 The Bureau also said that the seats for the Heung Yee Kuk, agriculture and fisheries, insurance, labour and transport sectors have election systems different to those of the District Council (Second) functional constituency, thus these sectors will not be considered for the trial of electronic vote counting. The sectors also have very small number of voters in the hundreds. Ballot boxes. File Photo: HKFP/Catherine Lai. The Bureau added that electronic vote counting was not proposed for geographical constituencies – direct elections – since the number of candidates would usually be too high and counting procedures would be dispersed across more than 600 stations. Meanwhile, the Bureau also suggested an advance voting pilot scheme for government employees who wish to vote but are required to perform election-related duties on polling days. 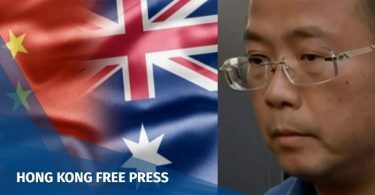 The Bureau proposed that the date for the advance polling trial would take place seven days before the main polling day, so that it falls on a Sunday. It estimated that around 30,000 will be eligible for advance voting, including 21,000 polling staff and up to 9,000 other government employees from various departments. The polling station director talks with staff. File Photo: HKFP/Catherine Lai. The proposal suggested that one to two polling stations could be set up for each of the 18 districts between 9am and 4pm. The proposals will be discussed at the legislature’s Panel on Constitutional Affairs next Monday.